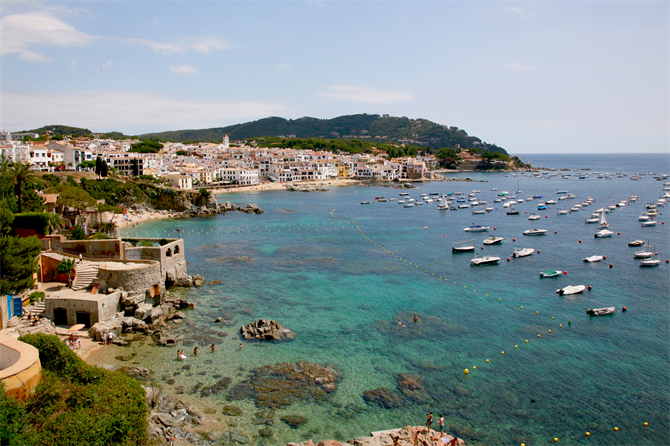 The Costa Brava is a wonderful holiday destination for families. It has everything: great weather, lovely beaches and coves, unspoilt nature, vibrant fiestas and traditions, historical sites and villages, ancient castles and picturesque towns. The list is long! 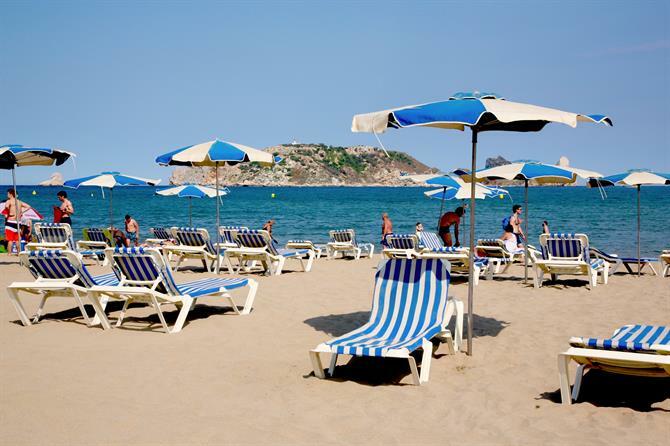 Several of the area's coastal towns such as Blanes and the family-friendly town of L’Estartit have been awarded certificates which officially recognise them as Family Tourism Destinations. There's also a few towns which are located slightly inland such as the beautiful Figueres, which is the perfect destination for a cultural day out with the family. 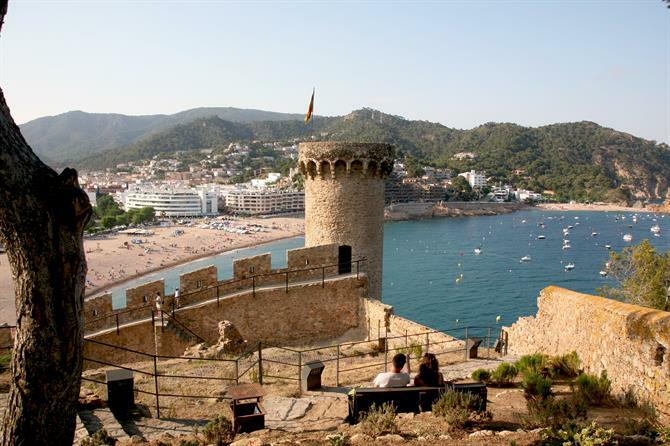 There are many other options for an unforgettable family day trip along the Costa Brava. Listed below are some places for you to choose from, all offering great experiences to enjoy your holiday to the maximum together as a family and take home the best memories and pictures! The beaches of the Costa Brava must without a doubt be first on this list when it comes to enjoying a family holiday here together. 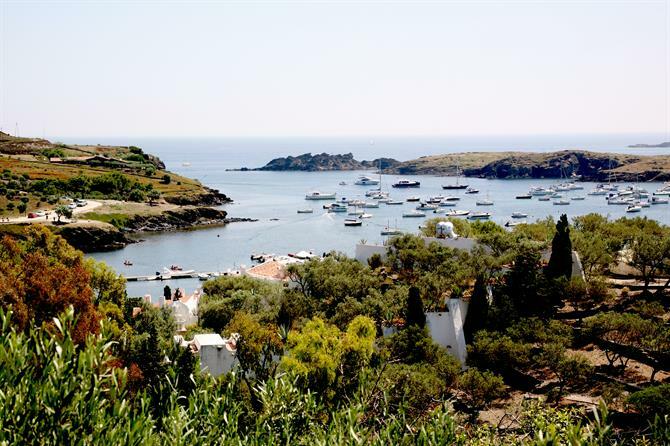 In most coastal towns, you can choose between both large sandy beaches close to the centre, with all the facilities and services, and cute little coves hidden between pine forests and cliffs. If you are especially looking forward to relax and read a book on the beach while your children are playing in safe conditions or even under the supervision of monitors, consider awarded family destinations such as Blanes. This former fishing village has beaches with calm water, excellent facilities and even a Kids’ Club in summer - an enclosed outdoor facility with qualified monitors who organise fun seaside activities for the little ones. Or how about the equally awarded L’Estartit? 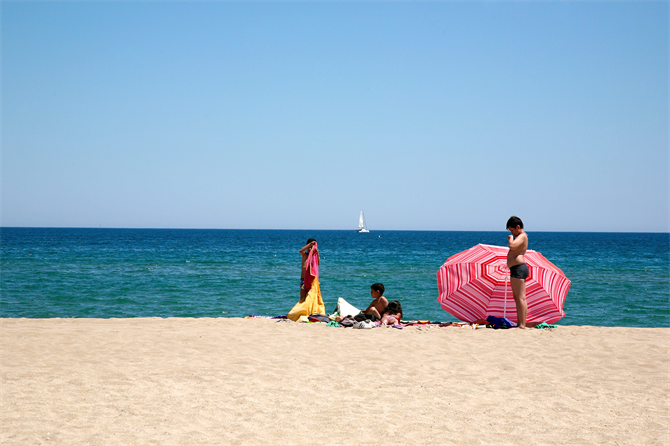 Its main beach, Platja Gran, has a Kids’ Club too. It is known as the Mini Beach Club and is open in July and August. 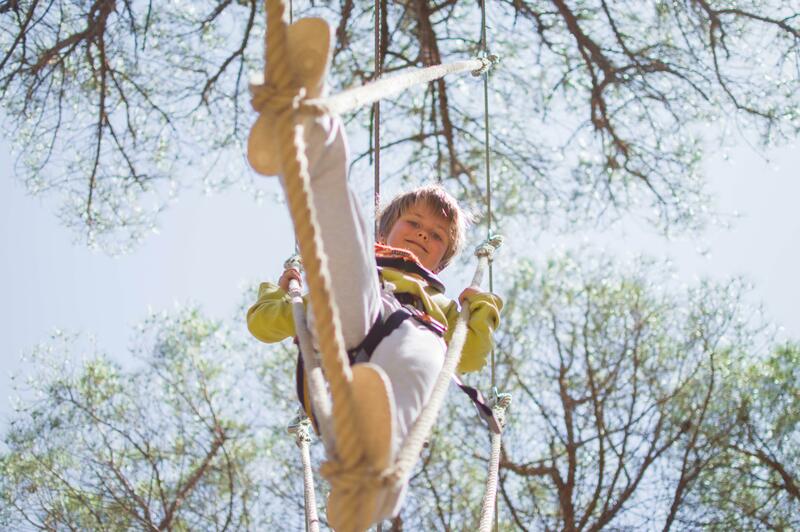 The club offers various activities for children to participate in - with a focus on teamwork and developing interpersonal skills - including outdoor sports, water activities and various workshops. Your children will have great fun while you can enjoy those careless moments of relaxing on the beach! There's no better way to enjoy the summer heat than in the water. If you add the entertainment of dozens of water slides and theme pools, then you have all the ingredients for a fun family day out and some unforgettable moments with your children. 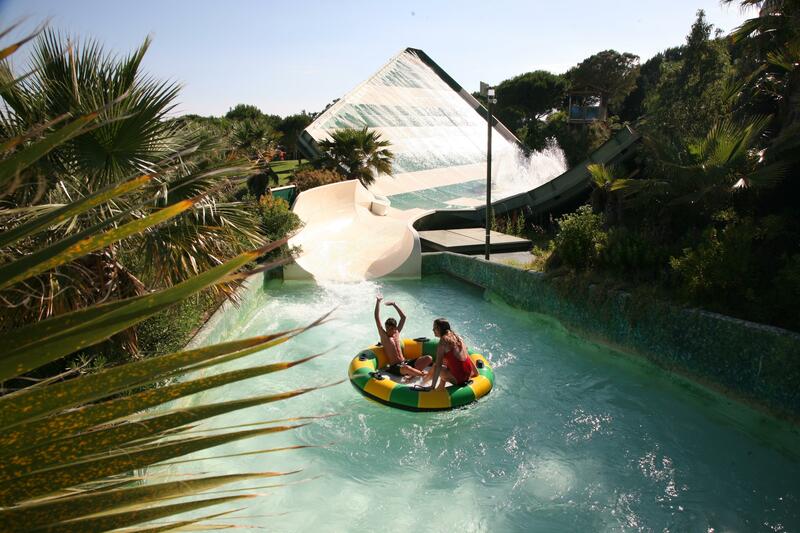 There are several waterparks on the Costa Brava which are renowned for their safety, comfort and quality. They have facilities for all ages and are therefore ideal for the whole family. Here’s our selection of waterparks, close to a number of pleasant beach resorts. 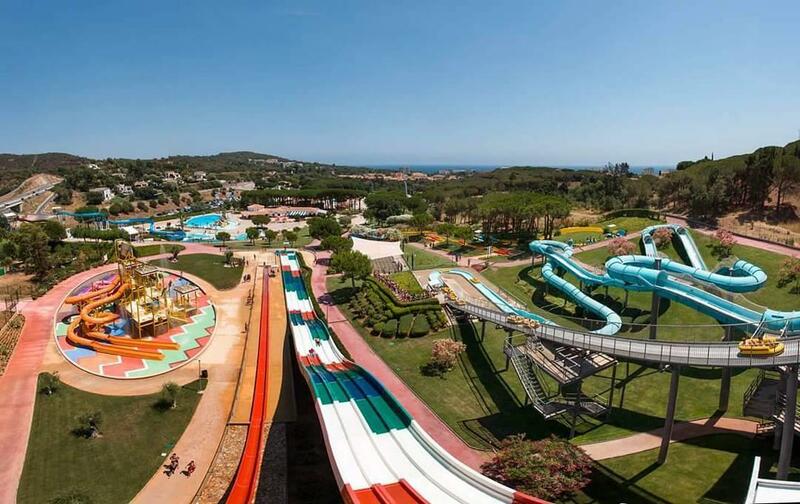 Aquabrava is a well-known water park on the Costa Brava, with up to 19 different attractions, including dizzying slides, swimming pools for relaxing and artificial rivers for downhill rides. Just outside the centre of Lloret de Mar you can visit the best waterpark of the Spanish east coast and about the biggest in Europe! It is called Water World, it is huge and it offers an ample range of attractions for all ages, such as water slides, a wave pool and hot tubs. It even has a 40-metre high slide which seems almost vertical… Quite unique! Like Water World, Aquadiver has facilities for all ages: a wave pool, a hydrotherapy pool, a kids’ pool, play areas for children, a picnic area etc., plus services such as sunbed rental, locker rental, showers, shops, restaurants and first aid. It opens in the summer season, from June 9th to September 11th. Look out for their great deals for families, such as the Family Ticket (2 x +1.20m & 2 x -1.20m), which is € 85 for the whole day. Two-day tickets are also better priced. More info on the website (http://aquadiver.com/). 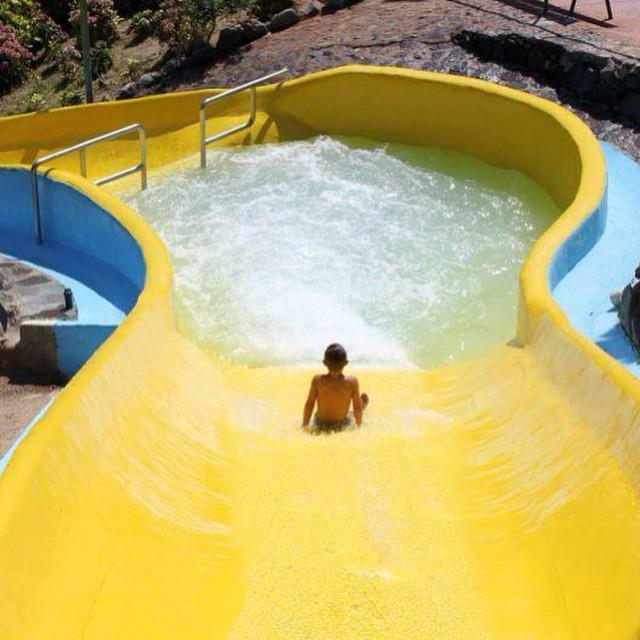 If you are really fond of waterparks, then it will be great to know that Water World and Aquadiver are owned by the same company and run a promotion where you get free entry to the other waterpark with the purchase of a ticket for one. 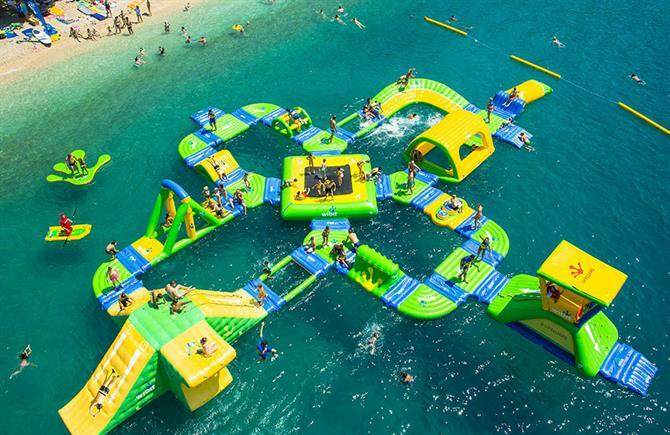 If you prefer the beach to pools, your children can still have an amazing time during their holiday in Empuriabrava, by spending some time on this floating obstacle course in the sea. The magnificent Platja d'Empuriabrava offers an impressive complex of inflatables in the water during the summer just a short distance from the beach. The complex has not only slides but also trampolines, play areas with fun obstacles and many floating platforms, connected to each other. It is indeed a waterpark in the sea! Its operator is Aquamar Cemm, and the price of tickets vary between € 6 for half an hour and € 25 for a full day. 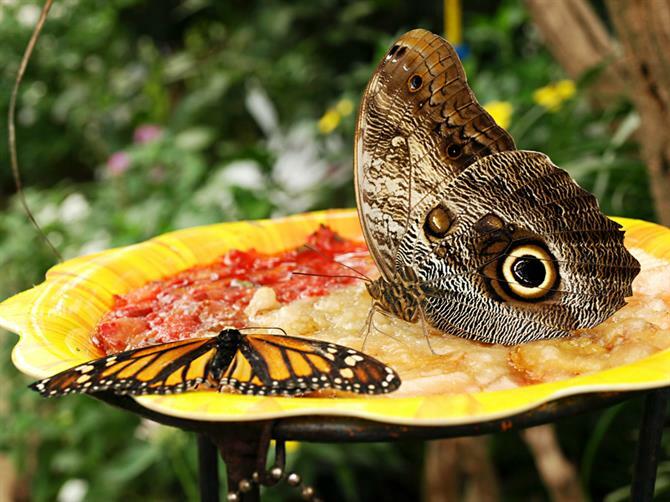 The Butterfly Park in Empuriabrava is a fantastic tropical garden of about 1,000 square meters, with different species of fauna and flora to discover and show your children. From turtles to parrots and from iguanas to exotic butterflies, it is a feast for the eyes! The garden offers all animals and plants a tropical environment with a temperature of 28 degrees Celsius and a humidity level of 80%. You and your children will be amazed and feel you are on holiday in a different, wonderful world! 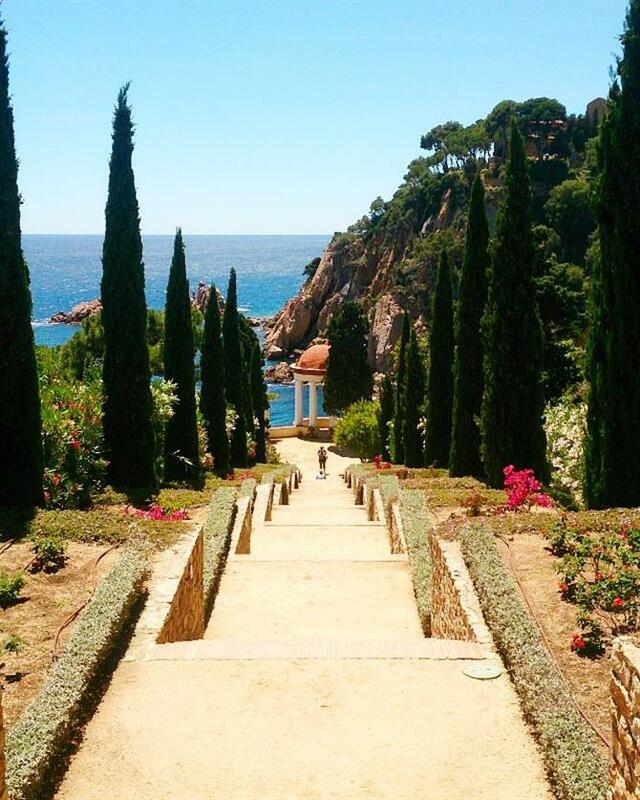 Blanes has two terrific botanical gardens with breathtaking views over the Mediterranean Sea. Both can be combined with a visit to the paradisaical beach coves below them. The first, the Marimurtra garden, is one of the best attractions of the Costa Brava. Your kids are sure to love this garden as well because apart from 4,000 plant species, it has parrots that are not afraid of people. They will even come close enough for a lovely family picture. 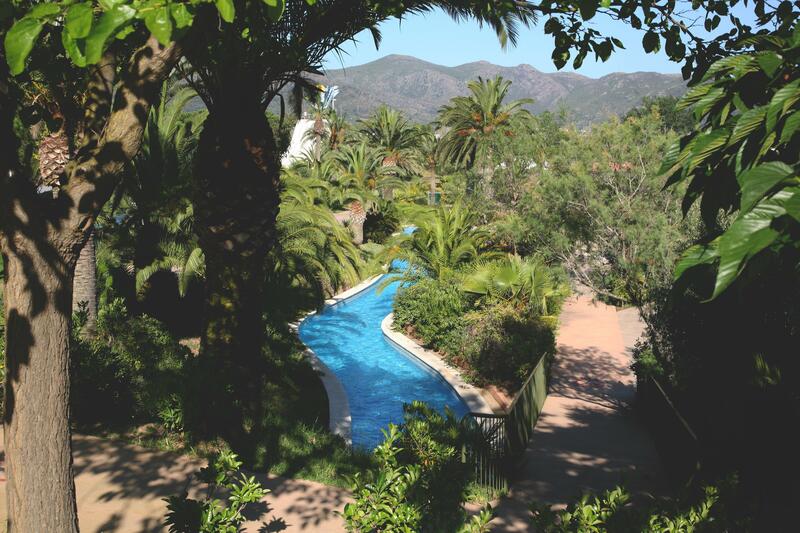 The second garden is Pinya de Rosa, with equally stunning sea views and over 7,000 tropical species. Here you can show your kids the many palm trees, cactuses and aloe vera plants. After this visit, you can take them to the wonderful Cala de Treumal cove. If you especially enjoy wild nature or wish to get to some of the hidden coves of the Costa Brava which are not accessible by car, there are many trails you can follow. The best-known long-distance trail is the Camino de Ronda (GR 92), which you can recognise very easily by the international sign of a white stripe above a red stripe. There are also several natural parks to choose from. They give you the opportunity to go for family walks, explore nature together or undertake fun outdoor activities such as cycling or horse riding. You can spot animals on the way and challenge your children to recognise plants and trees or to climb hills to enjoy great views. 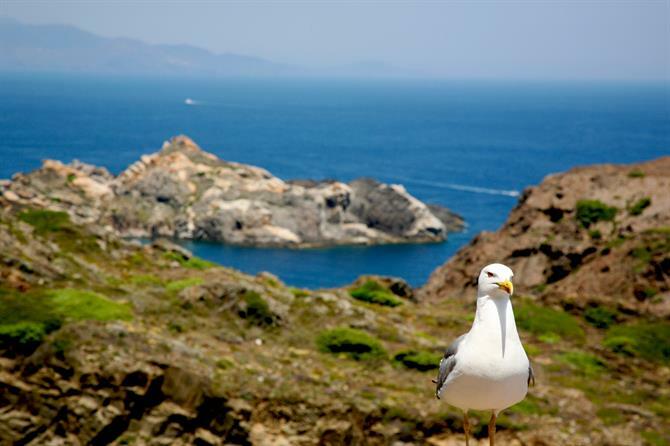 One natural park on the Costa Brava your children will especially enjoy exploring is Cap de Creus. It offers visitors fantastic hiking routes, which are fun for the whole family! The route to look out for with children is the Paratge de Tudela (about two hours). Because of years of wind erosion, many of the curious geological forms that make up the landscape seem to resemble animal forms. If you use your imagination with your children, you will find a camel, a sea lion, a gorilla, etc. Signs along the track will help you identify all the interesting rocks. 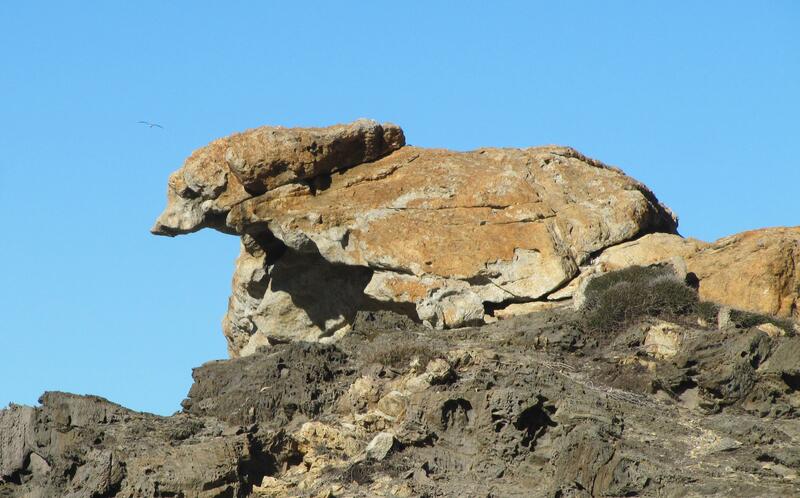 They will even take you to rock formations that have inspired the famous artist Salvador Dalí. Important: bring caps, sunscreen and water, as there is no shade! If you get too hot, you can always dive into the sea in one of the picturesque coves in the park. Watersports can also be great fun in the sun. 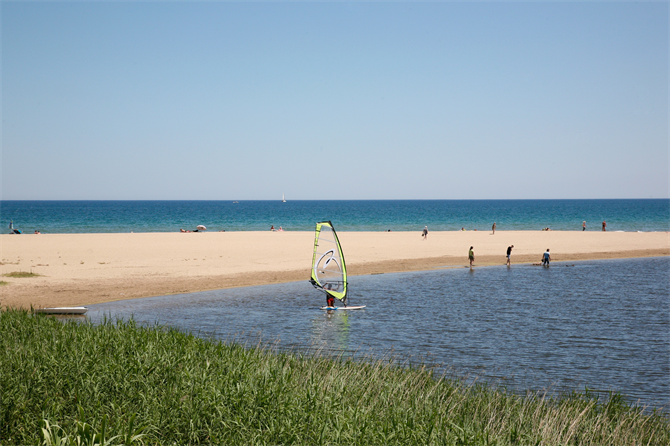 In most coastal towns on the Costa Brava, you can sign up your children for courses or activities such as windsurfing or sea kayaking. Or maybe you want to try wakeboarding or water skiing yourself. 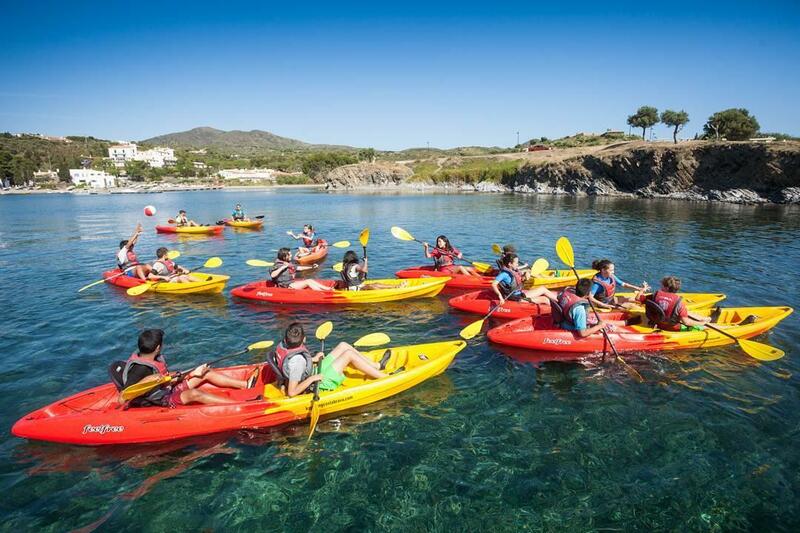 Sea kayaking can be a great family activity too - something to enjoy all together! 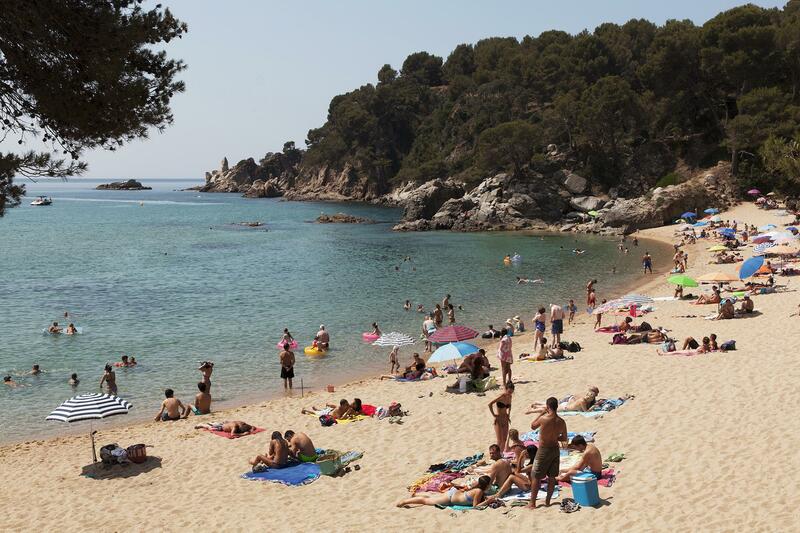 Another easy option along the Costa Brava is of course going snorkelling in its paradisiacal beach coves. If you like diving, we strongly recommend the diverse area around the protected Medes Island. If you especially enjoy seeing new places on holiday and don’t necessarily want to be very active yourself, the ‘little train experience’ is one way to make sightseeing fun for your children too. Apart from the usual coastal tourist trains, there are several little trains which offer routes appealing to adults as well. The Roses Tourist Express Train travels around the bay of Roses on different excursions which both adults and children will enjoy. There are 5 different routes to choose from. One for example goes up the Puig Rom summit, from where you will be able to enjoy an amazing view of the Alto Ampurdián, with the Aiguamolls Natural Park of the Empordà in the distance. 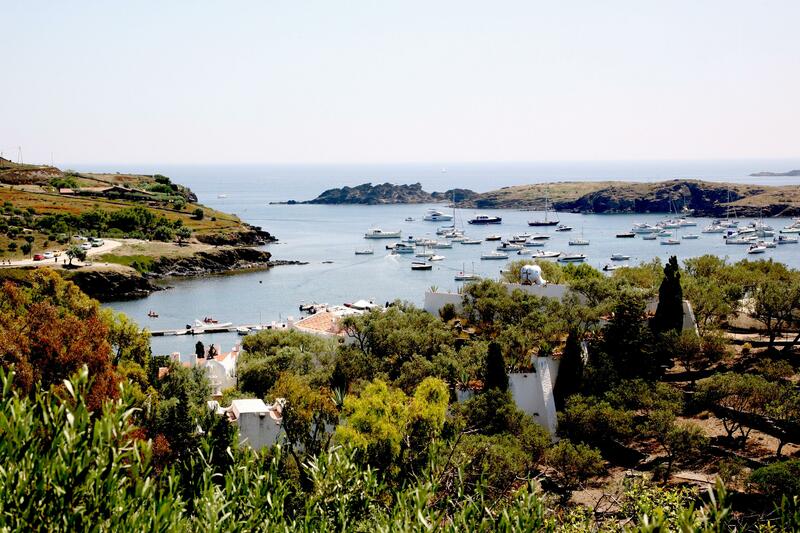 The Falconera route, in turn, offers you incredible views of the bay and the Medes Islands making it a truly relaxing activity, perfect to enjoy with the whole family during your holiday in Roses. If you are on holiday with children in Cadaques, exploring the area on the tourist train is a great idea. 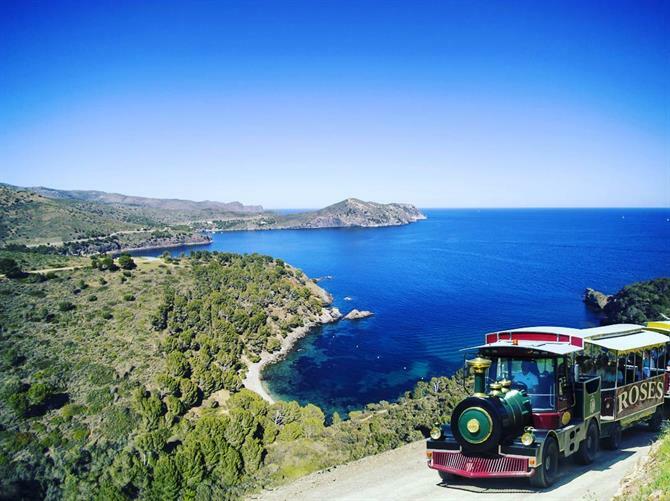 The train departs from the city centre and has two itineraries: one in the immediate surroundings of Cadaqués and another that will take you to the lighthouse of the Cap de Creus, passing through Portlligat Bay and past the Dalí House-Museum. You will enjoy spectacular views! The medieval village of Pals is famous for its beauty but did you know that rice is grown in its surroundings? It has been for almost five centuries and from April to October you can go on a rice tour in a tourist train which goes right through the rice fields - something your kids will undoubtedly enjoy! The little train also stops at the mill, where you can observe, up close, the machinery room and the demonstrations by the guide. 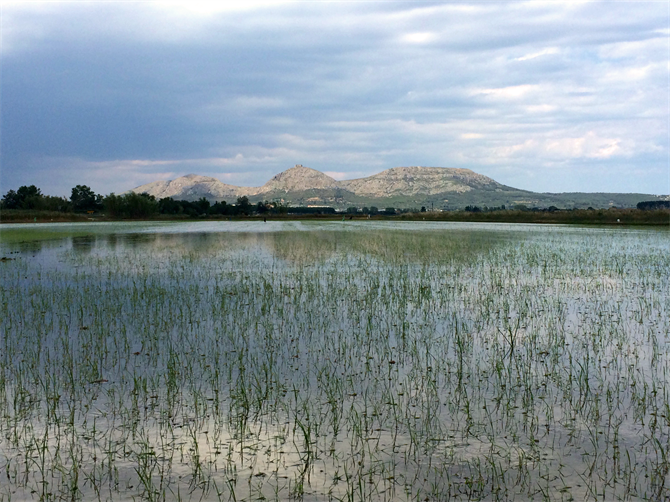 During the ride, you will have amazing views over the rice fields, with the Montgrí mountain in the background. These are part of the Natural Park of Montgrí, where you can also take your children cycling, horse riding, bird watching or to the unspoilt beach of Pals. Read more in our Pals family guide. In Calella the Julivia Tourist Bus will take you along the famous sites, the prettiest beaches and coves and the most amazing views! There's so much to do in this beautiful area that there's definitely something for the whole family in Calella, from hiking, cultural events and festivals to adventure sport and a botanical garden. 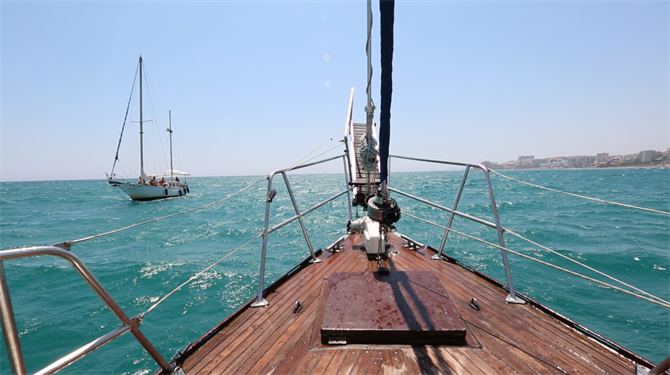 Would you rather enjoy a relaxing boat trip together? The calm waters of the Mediterranean are perfect for this! 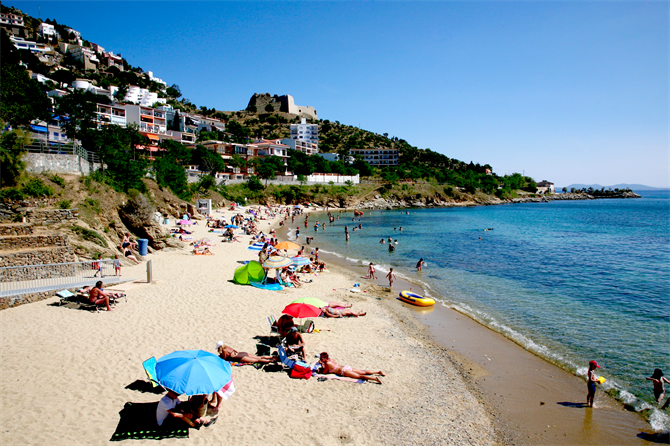 You will be able to enjoy the sun while discovering the Costa Brava and its hidden beaches and coves from the sea. You can also show your children the secrets of the sea through the glass bottom many of these boats have. Popular boat trips on the Costa Brava are trips to the protected Medes Islands, Cap de Creus, Cadaqués or along the Costa Brava, to visit the underwater caves which are accessible only by boat. From Lloret de Mar (and several neighbouring beaches) you can go on a boat trip to multiple locations, including Blanes, Santa Susanna and Calella. More info, also about other activities such as great family walks, in our Tossa de Mar family holiday guide. 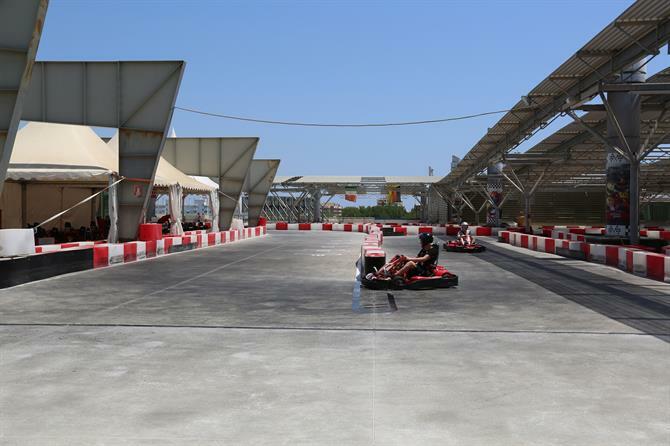 If you like a bit of adrenaline on a family day out, you can go and race against each other on one of the karting circuits of the Costa Brava. This local company in the lovely coastal town of L'Escala has over 30 years of experience in organising races and has a fabulous track full of twists and turns, where you can test your driving skills. You will be able to race against your children in different types of karts as if it were an authentic Formula 1 race. Eventually, the winner will climb onto the podium, raise the trophy and be rewarded with champagne! Karting Roses is another option if you like speed and cars. It has an adult track of 850 meters and a special track for the little ones, from the age of five to ten, plus two-seat karts for children and adults, so you can share this exciting experience. There is a screen with times and speeds to keep track of your performance, as well as a bar with terrace where you can just relax and watch the races. Of course there are more places for karting on the Costa Brava, such as Blanes Karting and Karting Palamos. You can look up the closest option for your holiday online. Apart from outdoor adventures and adrenaline on the karting circuits, the Costa Brava can also give you an amazing experience in the air. Imagine telling your children that today you will all be able to fly! It’ll happen if you take them to the incredible Flight Simulator in Empuriabrava. 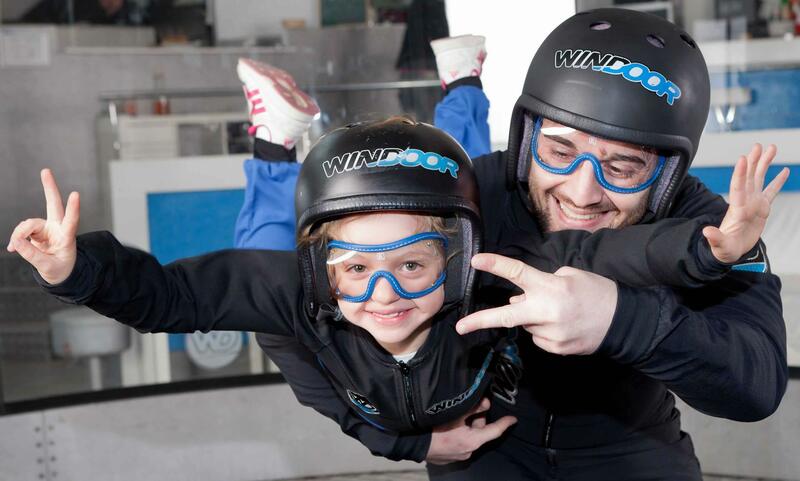 Approximately three years ago, a 'wind tunnel' was opened in Empuriabrava by a Catalan company called Windoor Realfly. This tunnel produces a continuous flow of air which is generated by four high-power turbines. It simulates the experience of a free fall, while being completely safe and supervised. As there is no risk involved, even the youngest children are allowed to participate: the minimum age is 4 years old. In this so-called wind tunnel, the generated air flow reaches up to 300 kilometers per hour and will make anyone levitate in the air, both adults and children. You wear a special suit and helmet and don’t need to worry about anything, just enjoy the experience and the magnificent view you will have over the Bay of Roses, through the glass of the tunnel. 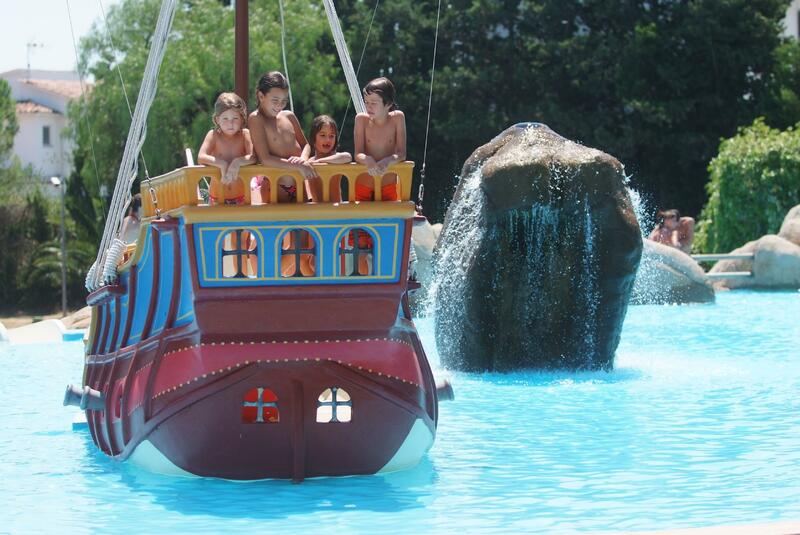 And of course you will take home photos and videos of this unforgettable experience with your children! Minigolf is another, more relaxing option to have fun together. There’s Garbí Mini Park in Blanes, for example, or Minigolf Carmansó, right in the historic centre of Empuriabrava. 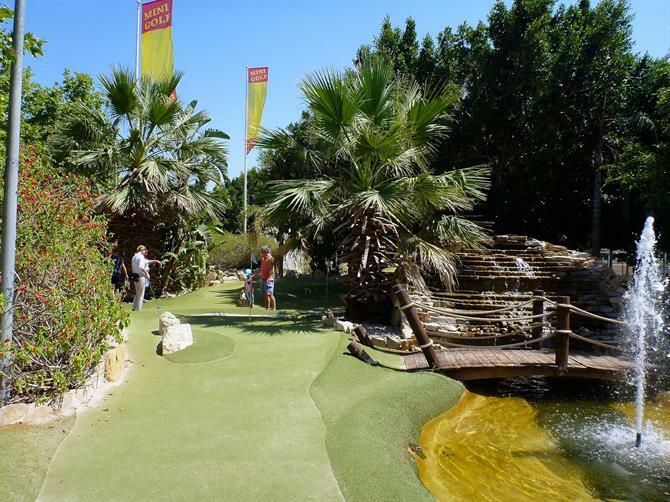 Minigolf Carmansó has been open since 1983 and is one of the references for entertainment in the city. Wherever you stay on the Costa Brava, you will no doubt have options to play minigolf nearby. 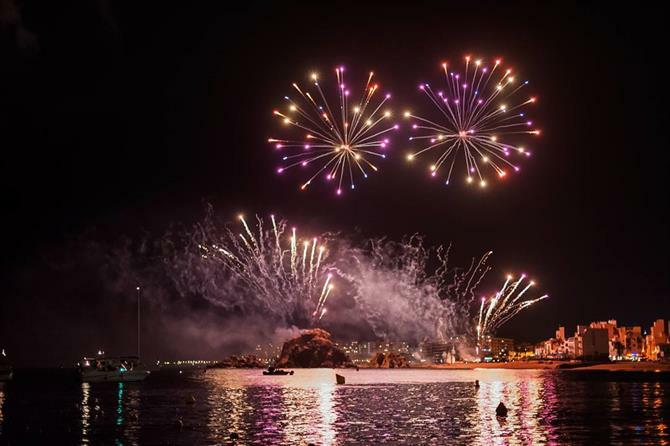 Spain has a lot of great festivals and fiestas - especially in the summer - and it is worth checking the cultural agenda to see what’s on during your holiday stay. Family life is important in Spain, which is why many of these festivals organize family-oriented activities, parades which are especially fun for children, workshops and games for the little ones, etc. For the best yearly events, you can check our Top 12 festivals in Spain which are great for families. On the Costa Brava, there is the Lloret Formula Weekend (Lloret de Mar) and the Temps de Flor flower festival (Girona) in May, the International Fireworks Festival and Fiesta Mayor in Blanes in July, and many more events! 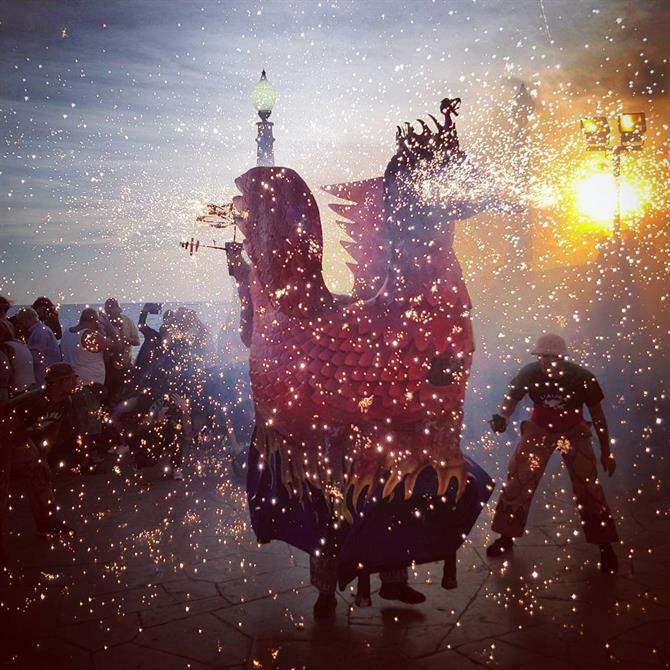 Apart from fireworks, the impressive human towers and parades of giants or fire-spitting beasts are a common sight at local festivals in Catalonia. Of course there are many other places you can visit with the whole family, such as fascinating museums and mysterious castles which will appeal to your children’s imagination.